Daniel Ramp is a conservation biologist with an interest in landscape ecology, climate change, behavioural ecology, road ecology, human-wildlife conflicts, and ethics in decision-making. Daniel has been instrumental in the development of the international discipline of Compassionate Conservation, which considers the welfare of individuals alongside other factors when setting conservation objectives. It represents a paradigm shift for conservation by incorporating ethics and animal welfare into contemporary conservation practice and seeks to overcome conflicts exacerbated by entrenched policies and institutional rhetoric. Daniel is the Director of the Centre for Compassionate Conservation at UTS. The centre’s goal is to stimulate innovation, novel research, and teaching practices that make the lives of wild animals better. It focuses on national and international challenges involving human-wildlife conflict, wildlife trade, conservation of endangered species and their habitats, and the well-being of wild animals. Daniel has been in the School of Life Sciences at UTS since 2011. 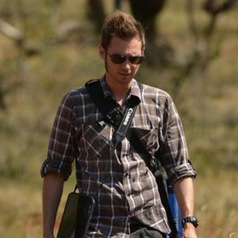 Previously he held an ARC Postdoctoral Fellowship at the University of New South Wales working on road ecology after completing his doctoral research on eastern grey kangaroos at the University of Melbourne.